Especially in comparison to my last 8 months of unemployment, unemployed -> full on full time employment instantly! Anyhow, while I have been a little time-short this week, I decided to share with you a little recipe for some chocolatey morsels of joy. These came about from me deciding to persevere with the Hazelnut flour, and I am glad I did, as I ended up with these beauties. Preheat the oven to 180C/350F. Grease two baking trays. Cream the butter and sugar together in a bowl until light and fluffy, add the vanilla, and mix again. 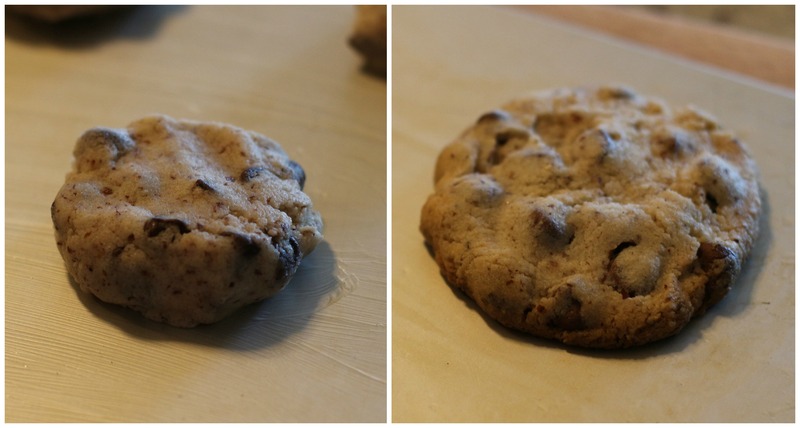 Add the hazelnut flour, flour, baking powder, chocolate chips, and hazelnuts (if using) and mix to combine. If needed, add 1 tbsp of water in order to get the dough to come together. Take a spoonful of mixture and shape into a ball, placing it on the prepared tray, and flattening slightly. Repeat for the rest of the mixture. NB. they will spread a little, so leave a couple of inches between each one, but they won’t fully spread out like some. Bake for 12-15 minutes, until golden brown at the edges. Remove from the oven and allow to firm up on the trays for a few minutes, then transfer them onto a wire cooling rack to finish cooling. It was worth the perseverence. I LIKE these. I made them while Mr M was away for a few days, and only a few survived until he got back… and that was only because I put them in the freezer to avoid temptation! 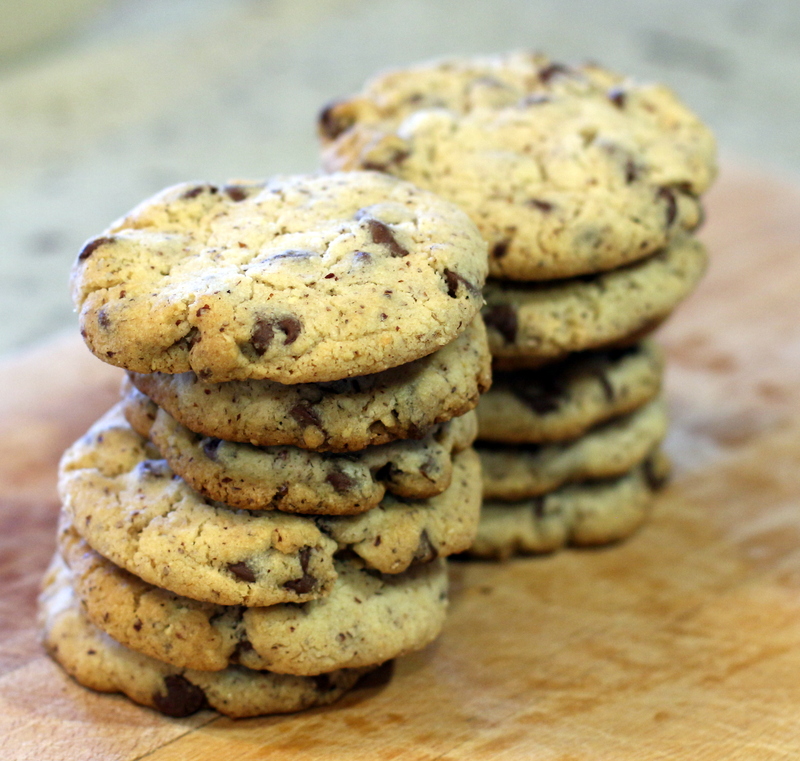 I made these without the added chopped hazelnuts, but you nut fans out there may appreciate a bit of extra chunk in your cookies, so you go nuts nut fans!